How many times have you been so excited about math to think ‘I can’t wait to do my homework’? Such memories are probably rare, but you’ll surely be glad to do a type of assignment that connects math with Christmas. It’s that time of the year again, so we are all thinking about the cards we are going to send to the people we love. This is one of the ways to find practical applications of geometry. First of all, let’s get one thing out of the way: you don’t have to love math to enjoy making these cards. You won’t be solving any problems; all you need to do is pick a geometrical design and follow the instructions. The result will be magical. 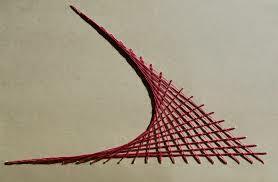 Start with two straight, intersecting lines. Then, separate those lines with points at equal distances. Now, start joining dots – connect the first point of one line (the one closest to the center) with the last point of the other line. Continue making the connections: the second point with the second-to last and so on… That’s how you get a parabola. To add some coolness, try making those connections with colorful threads. Use a needle to make tiny holes in your dots. Then, tie the ends of the threads so they won’t escape from their positions.This is a rather complex design that will give you a cross-shaped form. It’s perfect for Christmas. Draw a large square over the entire front surface of the card. Add your dots on each of the lines. 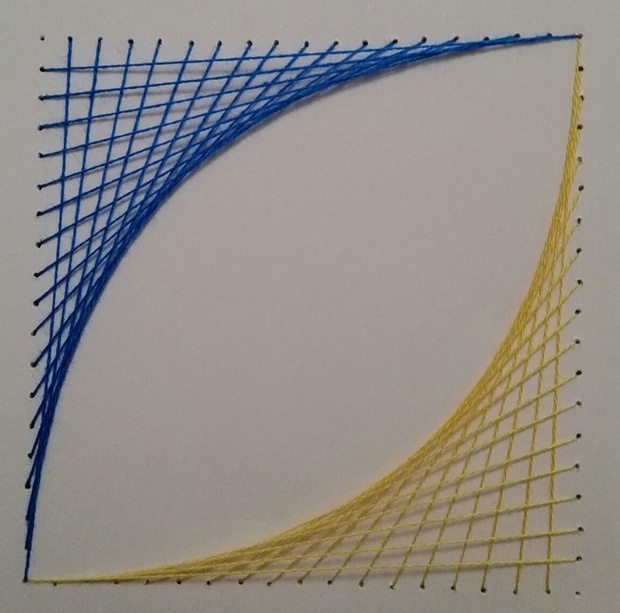 Imagine a diagonal line that separates the square in two triangles. Then, you will make two parabolas that face each other, by connecting the dots of the contiguous lines. 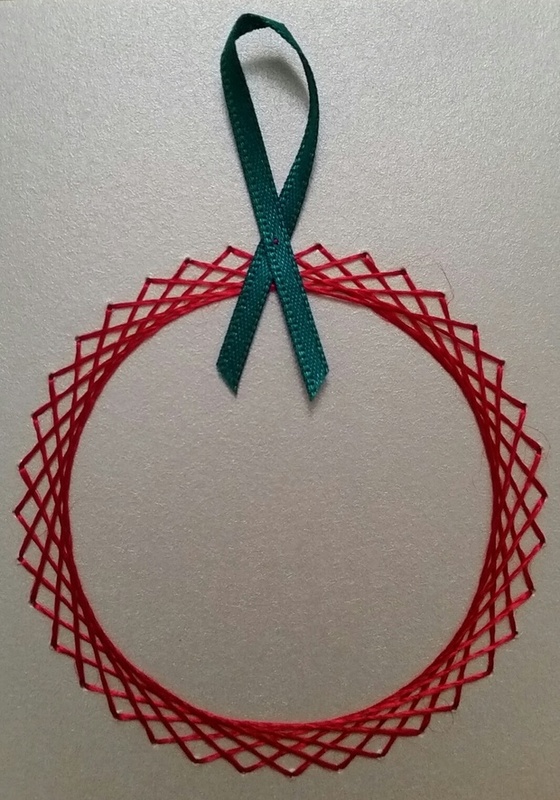 Make the colors different; for example, you can combine red with green and draw a Santa in the middle.If you connect all contiguous lines of the square (without dividing it on two triangles), the parabolas will create a square shape that will still be beautiful. 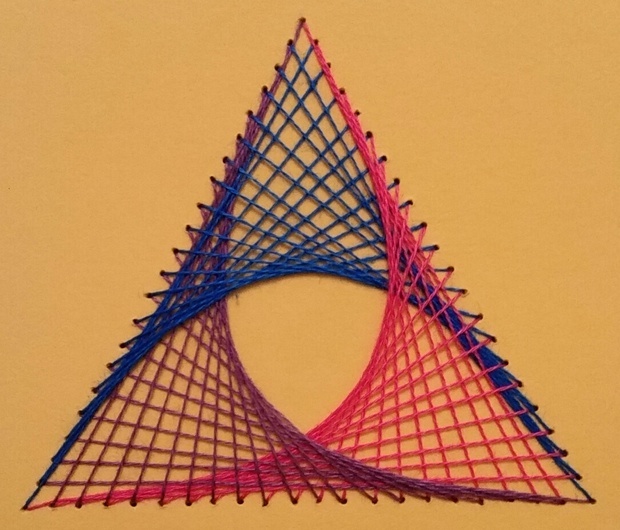 How about a triangle that celebrates your love for math? Draw your triangle on the card and connect the dots of the contiguous lines. Use the colors you like, and you’ll get a beautiful shape that leaves some space in the middle – that’s where you’ll write your message.Have you seen the chords suspension bridge in Jerusalem? Look it up; you’ll notice the architects used the same strategy of connecting dots to create a beautiful design. Now that you got some ideas for design, it’s time for the practical part of the instructions: what will you need to create such cards? Plain paper won’t withstand the weight of the thread, and it will tear when you try to connect the dots. So, you’ll need something stiffer. You can find plain, empty cards that are meant for DIY projects. They are really cheap and come with a fold, so you won’t have to bother trying to make the card even. If you can’t find premade cards, any stiff card-like paper will do the trick. Don’t be limited to white color; you can opt for any shade as long as it’s monochrome. Here is a tip that will save you from messing up the card: draw your design on plain paper first. Don’t use threads this time; just pencils in different colors. When you are sure that that’s the shape you want, you can recreate it on the card. 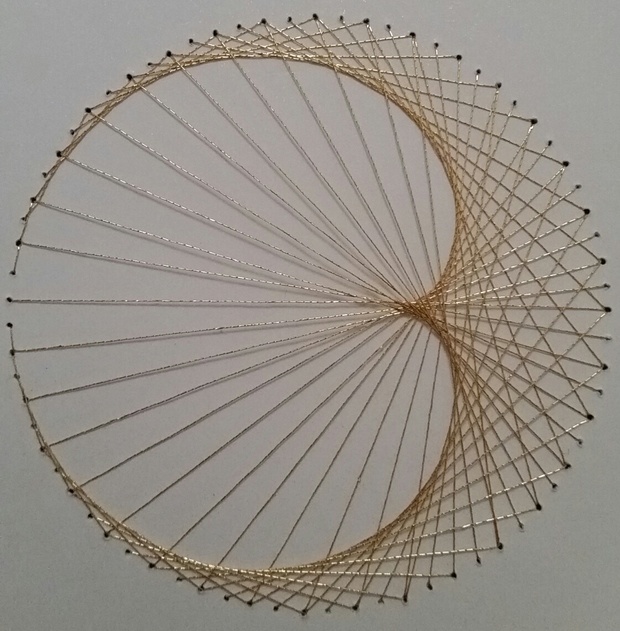 Draw the shape, note the dots, put little holes in them and start threading. You can tie one end of the thread so it won’t get out of the hole, but you can also tape it to the background. To cover up the mess on the background, glue a panel of paper over it. -Draw a circle and 72 dots on it. 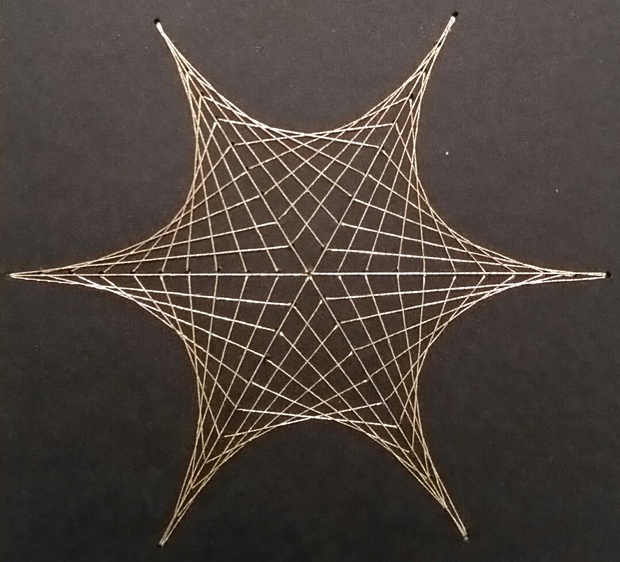 Then, connect each point to its double. It’s time for some math: you join 1 with 2, 2 with 4, 3 with 6, etc). It’s easier than it seems. You can write a number next to each dot, but use a pencil that’s easy to erase when you’re done with the design. You will get a mesmerizing cardioid shape that will show your love and appreciation for the recipient of the card.